Signed in 1992, the Treaty on Open Skies became one of the key measures for building confidence in post-Cold War Europe. It has been operating since 2002 and allows participating countries to openly collect information on each other's military forces and activities. Russia ratified the treaty in May 2001. In September 2017, The Wall Street Journal reported Washington's decision to close the airspace over the states of Alaska and Hawaii to Russian observers. According to the newspaper, it was the White House's response to Moscow placing restrictions on US overflights of Kaliningrad, Russia's enclave between Poland and Lithuania in the Baltic region. The range of a reconnaissance flight can be up to 5,500 kilometers, while Russia reduced the figure to 500 kilometers as far as flights over Kaliningrad are concerned. The Kremlin, for its part, urged Washington to make any claims under the treaty in strict accordance with the document. 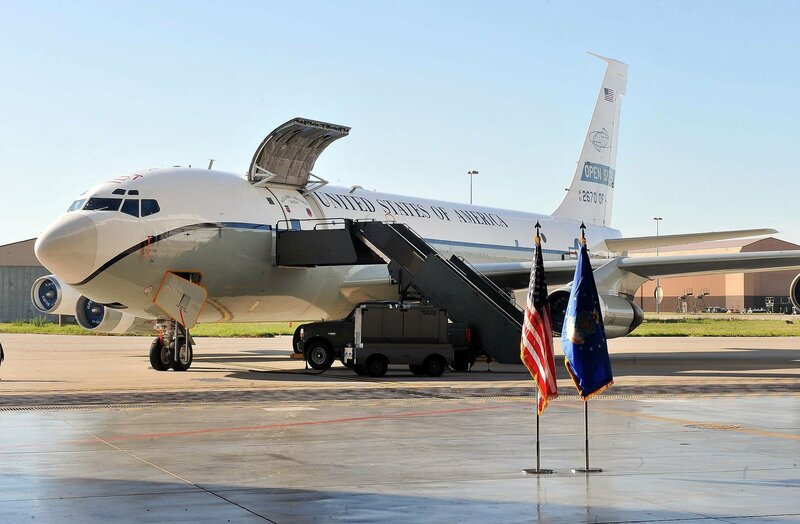 Last month, a military-diplomatic source told RIA Novosti about Russia's plans to reduce the number of airfields that can be used by US surveillance planes. "The number of airfields available to the United States will be reduced as of January 1. This is a mirror step in response to the relevant US measures against Russia, also due to be introduced in January," the source said, citing the US' intention to close the airspace over Alaska and Hawaii for Russian observers and limit the range of flights. Russian Foreign Ministry spokeswoman Maria Zakharova, for her part, confirmed that Moscow considers US accusations that Russia is violating the Open Skies Treaty unfounded. Zakharova said that Russia was forced to accept a number of reciprocal restrictions, due to be introduced on January 1. According to her, "the Russian side stated in the consultative commission on the Open Skies Treaty about its intention to cancel overnight stays at three airfields during flights involving the United States." In addition, in December, Russia sent a note to the US mission to the OSCE on the termination of a number of bilateral agreements with Washington on January 1, 2018. The deals were related to facilitating the execution of surveillance flights under the Open Skies Treaty. The military-diplomatic source told RIA Novosti that another stumbling block for future surveillance flights was Georgia's reluctance to open its airspace for Russian aircraft. "Observation flights in 2018 are on the verge of collapse due to Georgia's reluctance to open its airspace for Russian surveillance aircraft. The draft decision of the consultative commission on the Open Skies Treaty has not been approved for several months because of Tbilisi's position," the source said. The source added that next meeting of the Open Skies Consultative Commission will be held in Vienna in January. In this context, Russian political analyst Vladimir Kozin told Sputnik that "the reluctance to open its airspace is a gross violation of the treaty, given that Georgia is a participating country." RIA Novosti cited a State Department source as saying that the US calls on Russia to "constructively interact" in resolving the situation around the Treaty on Open Skies. The source claimed that since 2004, the US has allegedly recorded Russia's violation of the terms of the treaty, and on June 20, 2017 formally designated these claims in three areas. According to the source, this pertains to Russia's restrictions on surveillance flights over the Kaliningrad region, the ban on flights along the 10-km corridor on Russia's border with South Ossetia and Abkhazia, as well as the deviation from the agreed flight routes under the pretext of force majeure. The source said that the measures introduced by the US in relation to Russia were the abolition of "some flexible opportunities in the spirit of good will." At the same time, the official declined to comment on Russia's retaliation measures. "We will carefully consider any Russian measures as soon as they are announced and specified," the source added.